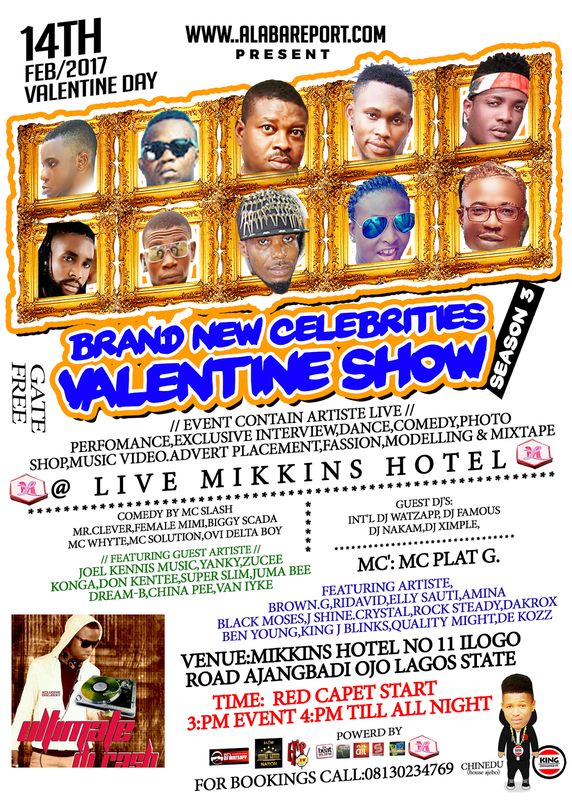 Alaba Report: Brand New Celebrities Valentine Show Season Three 2017 Coming Up on Feb. 14 Valentine Day.. Event Hosted By Int'l Dj Watzapp, Alaba First Son.. Brand New Celebrities Valentine Show Season Three 2017 Coming Up on Feb. 14 Valentine Day.. Event Hosted By Int'l Dj Watzapp, Alaba First Son..